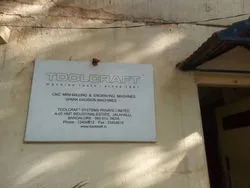 Roots of Toolcraft Systems Private Limited the forerunning Manufacturer firm of high performing CNC Milling And Engraving Machine are dated back to the year 1961. The rich heritage of leadership played a vital role in our operational excellence and in our capability to develop the most advanced range of machinery, including CNC Machine, Spark Erosion Machine, Ultra Precision Electro Spindle, Coordinate Drilling Machine, OSAI CNC Controller, Customized Window Based CNC Front End Software and Soft PLC Embedded Software. We are serving the industry from more than five decades and the goal to provide cost efficient and highly durable range of products made us the preferred entity in the segment. Further, our modern day machines are widely demanded for its reliable performance, advanced machining features, digital controls, liquid cooled engines and low maintenance designs. We are a dedicated firm instrumental in exploring the scope of innovation in our product designs that are suitable for diverse industries, including but not limited to automobile industry, aerospace components, small moulds and dies, copper electrodes, graphite electrodes, and steel and brass stamps. Our assiduous workforce is accountable to anticipate the leading trends in the industry and encapsulate the soaring demands with benchmarking manufacturing standards. Our in-house manufacturing division is backed with next generation technological advancements where our diligent team members leverage computerized techniques for production and quality testing. Moreover, we are constantly raising the bar by presenting a perfect amalgamation of technology and innovation in our new and improved designs. The dynamic guidance of Mr. Ramesh Shivashankar shapes our ability to foster close relationship with our prestigious clients. His rich industrial knowledge made us the proud partner for many. We are a client centric organization and ensure that the offered range of CNC Machine, Spark Erosion Machine, Ultra Precision Electro Spindle, Coordinate Drilling Machine, OSAI CNC Controller and many more is in compliance with international quality standards. Moreover, we also ensure that the offered products are manufactured in both customized and standard specification in order to meet clients’ application specific requirements. Offered at market leading prices, these are extensively demanded in Automobile, Heavy Machinery and General Engineering industries. Also, we ensure that the consignments are delivered to clients’ premises in a timely manner. Our clients can conduct monetary transactions through easy modes like bank transfer, cash, demand draft and E-payment. 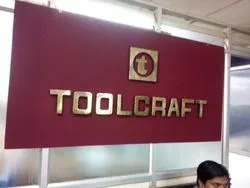 TOOLCRAFT is a precision Machine Tool Builder and our machines are designed and built with strict process controls that ensure reliability and long term accuracy. The essence of any CNC machine tool is about maintaining geometrical accuracies during high speed operations. Toolcraft machines are supplied with a World Class CNC Systems from OSAI USA. OSAI CNCs are OPEN ARCHITECTURE based with advanced features such as high speed machining, Look Aheads, etc., alongwith digital communications such as Ethercat and Mechatrolink. Hence, our products represent the combined expertise of TOOLCRAFT and OSAI which spans over several decades.